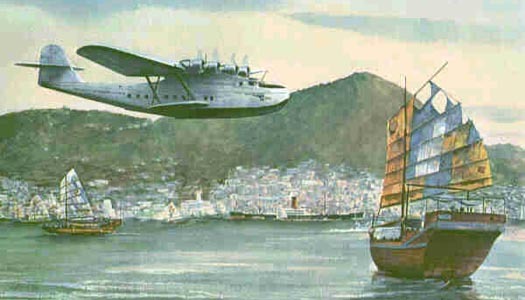 Welcome to the resumption of my Dad’s book, Talking To The World From Pan Am’s Clippers. When we were last with Dad, he was sharing his new experiences in India, with faster airplanes. Today he will actually fly an airplane! Enjoy! Thanks for joining me today! Please join me again next week for Episode 24 of Talking To The World From Pan Am’s Clippers, when we’ll fly with Dad on Pan Am’s exciting Inaugural flight to Johannesburg, South Africa. We are back in California, where we belong. We took about 500 photos while we were in Norway, and I plan to post narrative and photos of that country’s dramatic landscape. Last week in Episode 2 of Mr. Wugidgem And The Phoenix Journey we saw Golden Poppy get caught in a lie, and then, reluctantly, agree to join in the Shamanistic journey. The week, in the final Episode, we’ll follow her on her non-ordinary reality journey, and then come face to face with hard, ordinary reality. Enjoy! Thanks for listening this week. This story, plus another adventure will be in print this summer. I will provide the details as soon as I have them. Please join me again next week, when I will resume podcasting from my Dad’s book, Talking To The World From Pan Am’s Clippers. Thanks again for being with me! DIRECT LINK TO EPISODE 3. Ahoy from the North Sea! Thanks for being with me this week. We’ve been cruising for the past twelve days from Oslo, at the bottom of Norway to Honningsvag at the Arctic Circle top of Norway, and then back down to Bergen at the bottom. We’re aboard the ms Ryndam of the Holland American Line, a mid-sized ship (1260 passenger capacity). We’ve enjoyed excellent food and service, and we’ve had mostly good weather. The exception was in the Arctic Circle, where we had rain, cold, and rough seas, as you might expect. We did have 24 hours when the sun did not set, but we couldn’t see it because of the cloud cover! But we knew it was there because it was still light out. 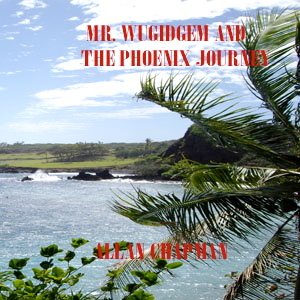 This week I am sending out Episode 2 of Mr. Wugidgem And The Phoenix Journey. Last week traveled with Debby, Michael, and Mr. Wugidgem to the village of the Phoenix Tribe, deep in the redwood forest. This week we’ll meet Golden Poppy, and then we’ll discover for ourselves why Running Cloud is so worried about her. Thanks for being with me this week. Please join me again next week for the dramatic conclusion of Mr. Wugidgem And The Phoenix Journey. Thanks again for listening!